Mark uses a different type of mullet rig to my own. His (two) spoon blades are set well ahead of the baited hook and an uptrace lead keeps the tackle down in the strong flows. 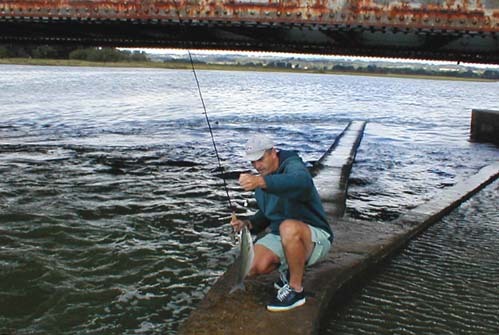 The fish often took a more or less stationary bait. 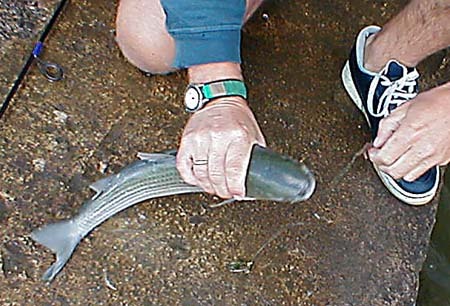 Of course, as in all baited spoon fishing, there is no need to strike. 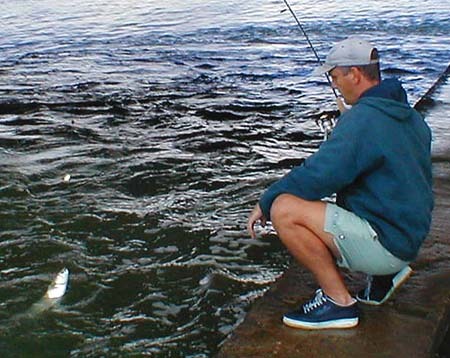 In fact a strike will only pull the bait away from the fish. Note the uptrace position of the spinner blade. 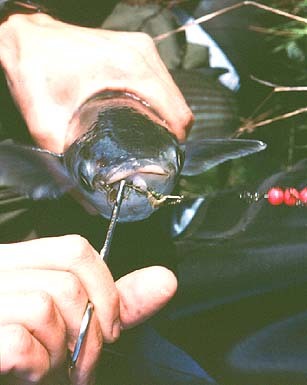 The fine wire hooks take a firm hold in the tough upper lip of the fish. All fish are carefully returned alive and well. My own spinners have plastic bead bodies and only a few centimetres between the blade and the hook. I had to put a lead in front of mine for the harbour but both types seemed equally effective.